The Welsh Red Dragon flag incorporates the Red Dragon of Cadwaladr, King of Gwynedd, and the Tudor colours of green and white. This flag first came into use when Henry VII carried a green and white bicolour banner defaced with the red dragon, in the Battle of Bosworth in 1485. It was then carried to St Pauls Cathedral. The Tudors took to using the Red Dragon after the battle to show their Welsh ancestry. 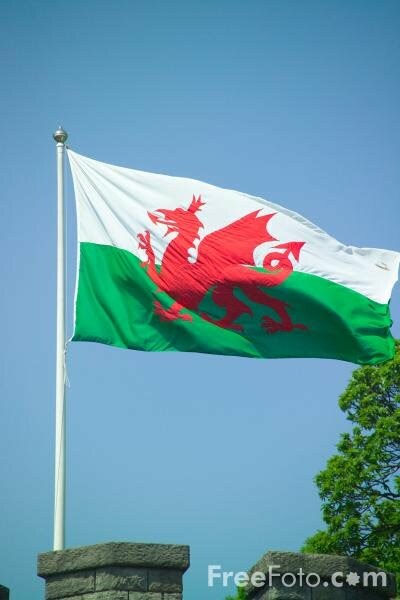 The flag was formally adopted as the flag of Wales in 1959. This flag is not the only flag to represent Wales, there is also the Cross of St David. 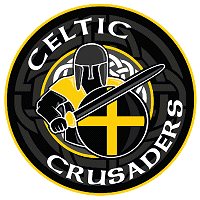 This is a cross similar to Englands, but a yellow cross on black. 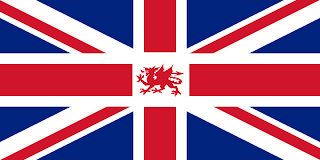 The origins of the flag are somewhat unknown, with one story stating that the Anglican Churches in Wales took to flying a flag over their churches, similar to the churches in England, which flew the English cross. However, they could not fly the English cross since they where in Wales, so they took the colours of St David, yellow and black, and assembled them in the same style as the English cross. Both flags are very popular, featuring on merchandise, and in life in Wales. The Welsh Dragon has cropped up quite often on stage with the likes of the Manic Street Preachers draping it on stage, and Katherine Jenkins using it as a cape sometimes during her finales. Wales is the only one of the home nations not included in the Union Jack. This comes from the fact that Wales was treated as part of England by the time the Union Jack was created, Wales was not an independent nation. Though the joke goes it is because Wales was not a kingdom, only a principality. Though this is not the real reason! 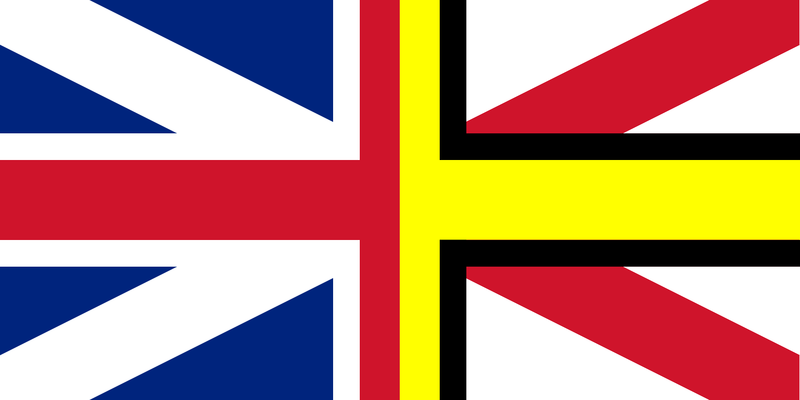 Because of its admission from the Union Jack, there have been sporadic pushes to redraw the Union Jack to reflect Wales as well. 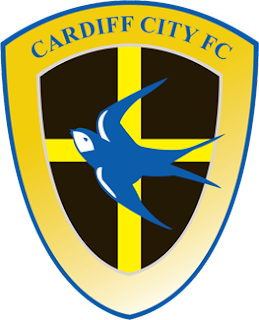 One simple change would place a small white square in the centre, with the Welsh dragon placed in the centre. Another one simply places a slimmed version of the St Davids cross inside the Cross of St George. 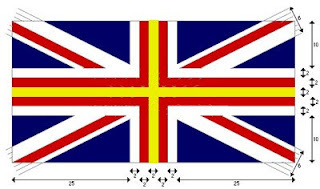 Another example strips the flag back down to its constituent parts, and redraft it giving 25% to each. One side featuring what looks like the first Union Jack, half of the central cross being the Cross of St George, overlaying the Saltire of Scotland. The other half of the flag sees the central cross switch to being the cross of St David, overlaying the saltire of Ireland. With Wales debating its own parliament, it looks like the popularity of both flags is set to explode, and its place in the UK to be debated for many, many years!